Looking for something festive to wear on your nails? 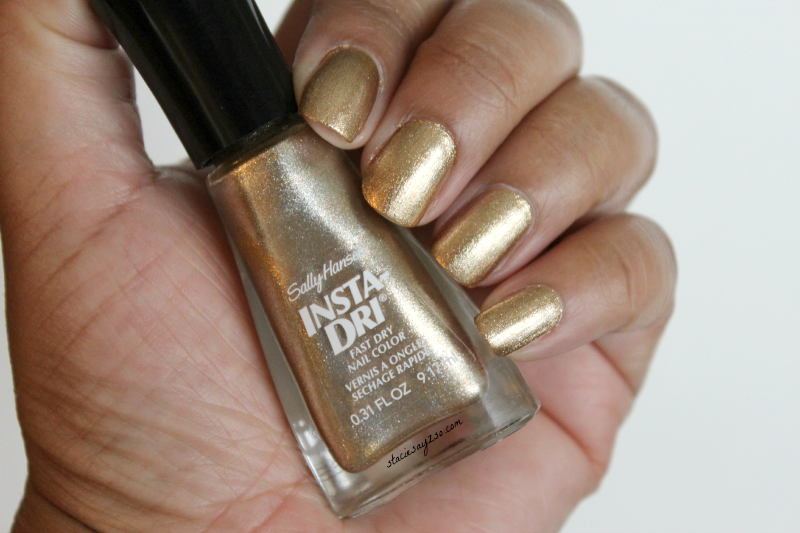 Go For Gold by Sally Hansen has just what you need for holiday nail polish that sparkles. Have you ever seen a nail polish and thought I have to have it, only to buy it and find you have a color just like it at home? That's exactly what happened here. 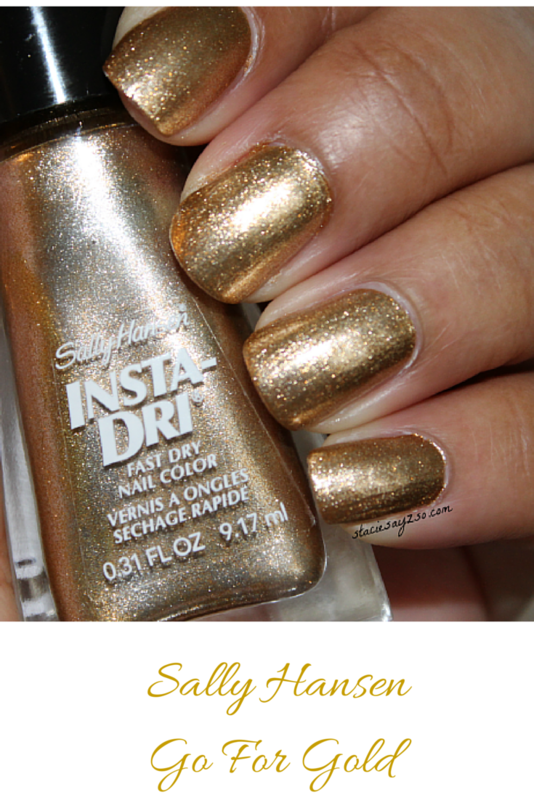 I have a spot on dupe of this from Revlon. Still, it's pretty isn't it! 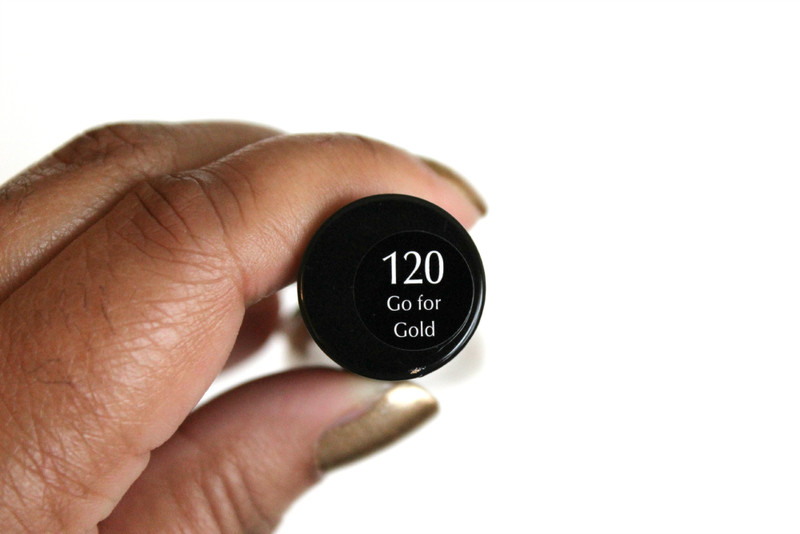 Do you ever buy the same color nail polish? I love it! I must find this! 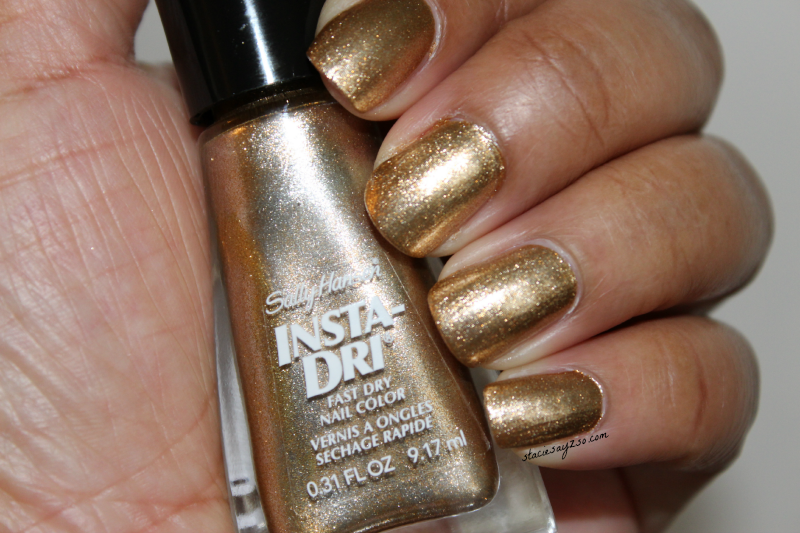 I need a gold polish! 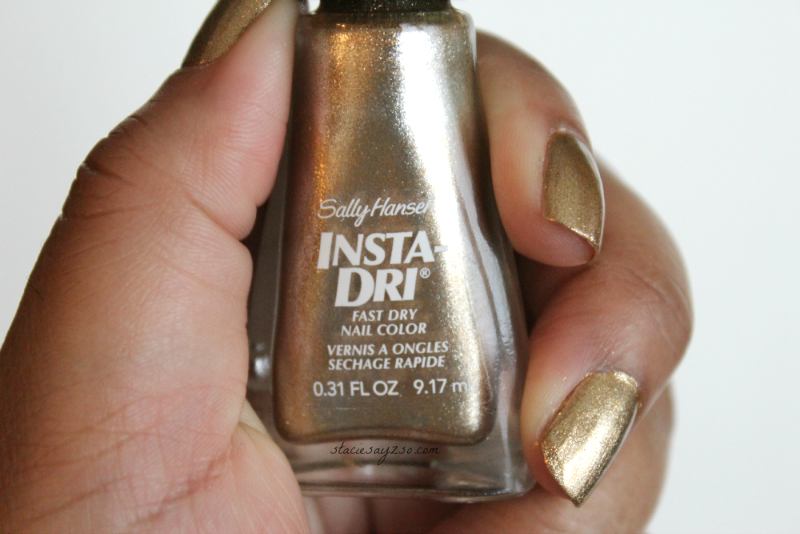 Gold polish is all the rage right now! You can find this at Ulta or Target. 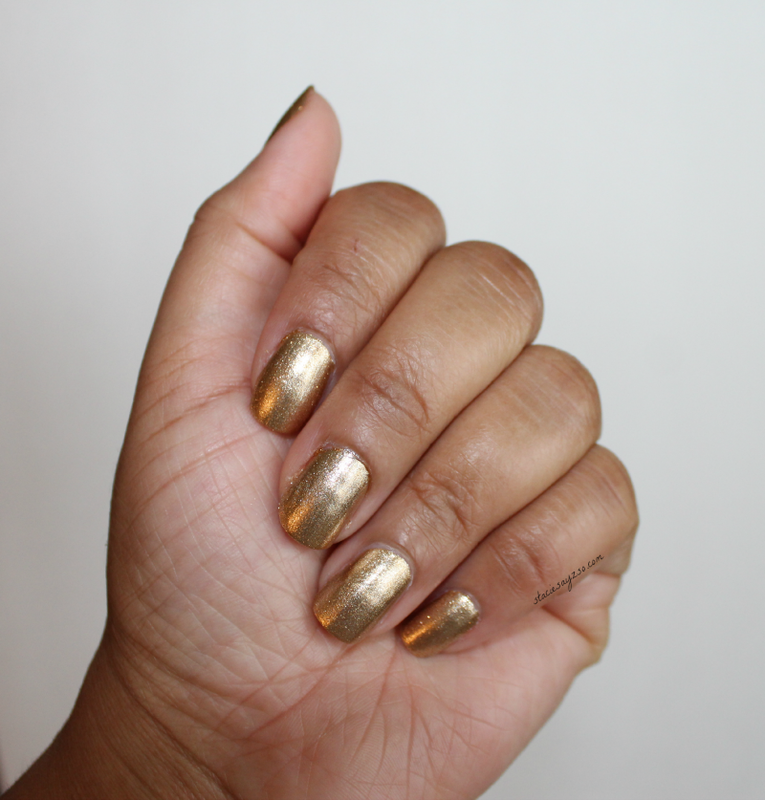 I love gold nail polish, it adds a touch of class!